While property prices keep going up in OMR, rental of certain type of homes is not catching up because of huge supply. 6 to 8 months ago, apartment prices in Sholinganallur was around 4000 to 4200 per SF, today it is hovering around 5000 per SF. Similarly, another of our favorite location, Medavakkam, has seen prices go up from 3600 per SF to 4500 per SF in the last one year. Plenty of builders are creating a huge supply of homes in OMR, which puts pressure on rental rates. 2BHKs are able to hold their rent quite well because of their demand since most renters are usually young and have smaller families, so they prefer a 2BHK. But 3BHKs are having to drop their rent significantly to get renters. In many complex, the rental difference between 2 and 3BHKs is just 1k. This situation will change, but only when the supply/demand situation reverses. Chennai also ranks no. 1 in price appreciation since 2007, the date when National Housing Bank started tracking housing prices in major cities. Located in a posh locality, with quick access to OMR and other parts of the city, this home is ideally sized for a family with kids. 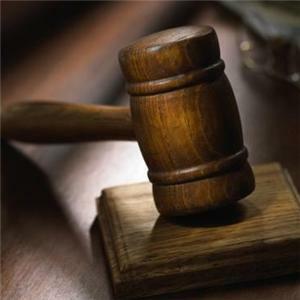 Chennai high court stays the recent police order that requires home owners to register their tenant information, based on a public interest petition. The opposition argued that this is in violation of a constitutional right that an Indian can reside in any part of India. It also offends the right to privacy and the right to dignity of people residing in rental homes. Hearing will be held after the court reconvenes post court summer holidays. Affordable housing in Kelambakkam, very near Siruseri, the IT hub of Chennai. This 800 SF apartment is located opposite to Emerald Engg. on Kelambakkam-Vandalur road, which is 1.5 km from Kelambakkam junction. With affordable rent and low maintenance fee, this home offers a lot of value for the renter. Other hightlights of this property are… CCP, 3km from Hindustan College, ample panchayat and ground water, near chettinad hospital. Do not be surprised if your apartment maintenance association increases the maintenance charges a bit. 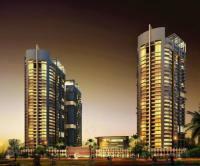 Beginning April 1st, 2012, common areas/facilities within complexes is to come under commerical tariff. This means electricity usage for gym, pool, water treatment plant, motor, etc. is to be categorized as commerical usage. Commerical tariff is based on usage as well. The first 200 units is Rs. 4.25, anything beyond 200 units is Rs.7 per unit. Gone are the days when large apartment complexes with pools, gym, greenery, club house, etc. can maintain the complex with just Rs.2 per SF. It is not just because of increase in cost of electricity, but also due to artificially keeping the maintenance cost low to easily sell these flats. TDS hits you when the value of property that is transacted goes beyond a threshold of 50 lakhs in urban areas and 20 lakhs in rural. Live in luxury on OMR with an amazing view of the ocean from this 18th floor apartment. The home is semi-furnished with modular kitchen, wardrobes in both rooms, 2 A/Cs, designer lights and fans. TVH Ouranya Bay is very close to Siruseri IT park with over 40 families living in this newly built apt. complex. Depending on the bank, amount and tenure, the rates are between 10.75% to 12.75% on Floating interest and 11.75% to 13.75% on Fixed interest. Lower rates increases affordability for home buyers, the effect of which is increased home sales.